DCR is a short form for the term Dacryocystorhinostomy and it refers to the surgery which is done to remove the blockage of the tear duct tubes. Because of the blockage of the tear ducts the eyes tend to become very watery and the eyelashes and eyelids may keep sticking to each other. In a DCR or dacryocystorhinostomy surgery, the blocked passage between the tear duct and the nose is bypassed which cause the tears to drain out. After a DCR, the watering of the eyes does not happen anymore. An external DCR is also performed in the cases where there are blockages at the higher level in the lacrimal system. Who needs to undergo a DCR surgery or a dacryocystorhinostomy? Anyone who is suffering from a persistent watery eye can undergo a DCR surgery. Sporadic watering of the eyes is completely normal and it is even required because it indicates normal functioning of the eyes. But in some extreme cases it may cause the patient to become unable to carry out regular and daily tasks. This condition can call for a DCR surgery. Also, some patients suffer from swelling in the inner corner of the eyes which could happen due to infection of the tear duct. This infection is again caused to blockage of the tear duct. To rectify this problem, a DCR surgery is done. After a DCR the patient does not suffer from any infection of the tear duct. What are the two types of DCR surgery? Depending upon the approach taken to perform the DCR surgery, the DCR can be categorized as the external DCR surgery and an endoscopic DCR surgery. External DCR: – As the name suggests, in this approach for the external DCR surgery the cut is made externally on the nose. This incision is made to gain access to the tear sac. By removing some part of the bone between the nose and the tear gland the access is gained to the inside of the nose. To make a direct passage between the tear gland and the nose the tear sac is cut and stitched to the nose lining. This gives a free drainage to the blockage. Sometimes to ensure that the tear sac remains open during the healing process a soft silicone tube may be inserted in the tear sac. This tube has to be removed after a few weeks after the operation and generally is not visible. An external DCR surgery can take anywhere between an hour and two. Though an external DCR surgery is a simple surgery, yet if it is not performed properly it can lead to complications. To ensure that there is no secondary infection, a tissue may be taken during the external DCR surgery for biopsy. A visible scar may be present after the external DCR surgery. The remaining scar after the external DCR surgery gets faded after sometime. External DCR surgery is mostly performed in the cases of blockage of the nasal duct or the canaliculi. After the external DCR surgery has been performed, the incision is covered with a bandage for a day or two. In an external DCR, soluble stitches are placed on the side of the nose which need not be removed. Another top approach from dacryocystorhinostomy surgery in India is the endoscopic approach. In an endoscopic dacryocystorhinostomy surgery the nose is accessed from the inside of the nostril. In an endoscopic dacryocystorhinostomy surgery the incision is inside the nose. In India, both these approaches are used for performing a dacryocystorhinostomy. But which approach would be best for a patient, endoscopic dacryocystorhinostomy or external dacryocystorhinostomy depends upon the case of the patient. An endoscopic dacryocystorhinostomy has several advantages like shorter recovery and no scar. This makes an endoscopic dacryocystorhinostomy one of the top approaches used for dacryocystorhinostomy in India. An endoscopic dacryocystorhinostomy or an external dacryocystorhinostomy is done on the lacrimal system which forms part of the ocular region. So, an endoscopic dacryocystorhinostomy should be performed by the best oculoplastic surgeon in India. And the best doctor for an endoscopic dacryocystorhinostomy is Dr. Debraj Shome in Mumbai. 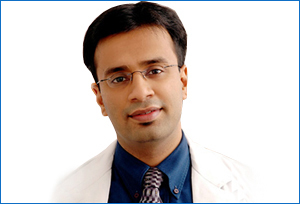 He is the best in India and is known for many top complicated surgeries that he has done in Mumbai. People from all over India come to Dr. Shome to get the endoscopic dacryocystorhinostomy because he is the best super specialist in India. In Mumbai Dr. Debraj Shome has co- founded the top chain of cosmetic clinics which have the top of the line facilities for patients from all over India. Mumbai is home to some of the top hospitals of India but now because of Dr. Shome Mumbai is now famous for cosmetic surgeries. In Dr. Shome’s opinion, an endoscopic dacryocystorhinostomy is better for some patients but not suited for everyone. In Mumbai, he decides the best approach after giving a personal consultation in Mumbai. So, according to your case, Dr. Shome will be able to tell you if you need an endoscopic dacryocystorhinostomy or an external dacryocystorhinostomy after you come to Mumbai for best treatment. Your endoscopic dacryocystorhinostomy should be performed by none other than Dr. Shome in Mumbai. In Mumbai Dr. Shome is also a consultant surgeon to many corporate hospitals.